Extremely difficult to find let alone one in great shape. This is a fantastic vehicle that is in unbelievable condition. Incredible Toyota Land Cruiser reliability, this vehicle runs like the day we got it. Regular maintenance performed by the previous mechanic / owner. Body is in great shape and there is no body rust on the car. Engine, AWD, drive-train, transmission are all in working order. Drive this Classic as it is or spend some time and just a little cash to restore it to pristine condition. Please call Steve at 303-247-9300 to test drive this classic vehicle. 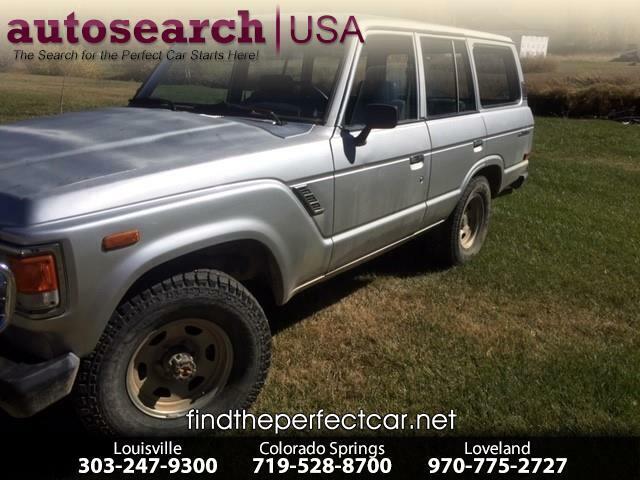 Message: Thought you might be interested in this 1985 Toyota Land Cruiser.